It's a great time to be Canadian. After becoming prime minister last month, Justin Trudeau promised to usher in a new era of feminism. On Wednesday, he took a step towards making good on that promise. Trudeau is about to announce his cabinet, and says that half of its members will be female. But Trudeau, who is one of few world leaders who has unabashedly called himself a "feminist," is far from the only reason Canada is a wonderfully progressive land for all genders. There are many reasons Canada is a feminist haven. My mom raised me to be a feminist. My father raised me, he was a different generation but he raised me to respect and defend everyone’s rights, and I deeply grounded my own identity in that, and I am proud to say that I am a feminist. He also tweeted the same message, saying he was "proud to be a feminist." Now that he's been elected prime minister, taking the reins away from the Conservatives, Trudeau is applying his feminist beliefs in very concrete ways. Of the 30 or so cabinet positions, Trudeau will appoint women to half of them. Just to give you some perspective, women make up only 25 percent of President Obama's cabinet. With this new "gender parity" cabinet, Canada will rank third in the world in terms of gender equality in government. And that's just one of the many reasons Canada is such an awesomely feminist country. Here are seven more. While many mothers in the U.S. are still struggling to wrangle paid maternity leave, every new mother in Canada can rest easy. That's because the Canadian government mandates 17 to 52 weeks of paid maternity leave — that's a whole year! Employers are required to accept mothers back at the end of their leave at the same salary or rate they had before. But that's not all. The government also pays benefits to one or both parents through Canada's employment insurance plan. One of Trudeau's priorities is to help protect Canada's First Nation women and girls, who make up an alarming 16 percent of female homicide victims, even though they only make up 4.3 percent of the overall female population. Trudeau's plan will include a national inquiry into these deaths and cases, more comprehensive investigations involving the collaboration of the indigenous community, and more stringent monitoring of police misconduct involving women. Does the word 'Persons' in Section 24 of the British North America Act, 1867, include female persons? Their aim was to have women legally qualify as such "persons" so that they could be eligible for the Senate. The court first denied women this qualification, but its ruling was overturned in 1929. The "Persons Case" became a watershed moment in the women's movement in Canada. Through the years, Canada has given the world numerous strong feminist figures who dared to challenge gender norms and the public's perception of a woman's role. The long list includes singer Alanis Morissette, actress Ellen Page, gamer Anita Sarkeesian, writer Margaret Atwood, and, of course, feminist icon Ryan Gosling. Canada is one of few English-speaking world powers to have had a female head of government. In 1993, Kim Campbell was appointed prime minister after incumbent Brian Mulroney resigned. Although she was only prime minister for a period of just over four months, the Progressive Conservative garnered exceptionally strong approval ratings, and was the most popular prime minister in Canada in 30 years. Passed by Trudeau's father Pierre, who was prime minister at the time, the Canadian Human Rights Act protected everyone from discrimination based on gender, religion, sexual orientation, etc. Not only has this law been instrumental in combating the gender income gap, but it also set the foundation for the legalization of gay marriage in Canada in 2005. For decades, abortion has been a sort of ad hoc endeavor. It's not legal or illegal, but access can be rather difficult, and it's the only medical procedure not covered under the Reciprocal Billing Agreement, which allows doctors to bill their own provinces' medical plans for services rendered to patients from other provinces. Still, the lack of a legal status for abortion makes it an individual's right to choose, and Trudeau plans to make it even easier for women to get access. 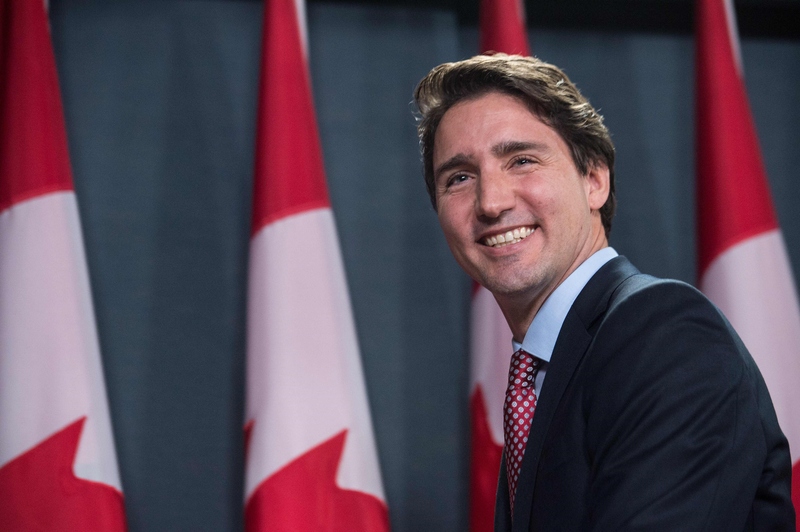 Trudeau has long held a pro-choice stance, and has in the past proposed a policy that would require MPs to vote against putting restrictions on abortion.